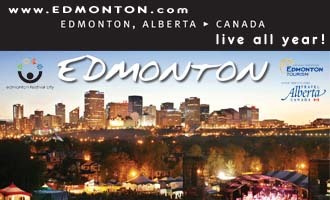 Location: Approximately 47 km (29 mi) northeast of Edmonton, just north of the junction of Highways 15 and 45. Population: 1348. Visitor Information: www.bruderheim.ca. Visitors will not want to miss the Canadian Moravian Museum, housed in the preserved 1897 church building that was the original center for the Moravian Church in western Canada. Dating back to the Bohemian Reformation of the 1400s, the Moravian Church is possibly the oldest Protestant denomination in the world. After Czech priest Jan Hus was burned at the stake in Germany for his teachings questioning the Catholic Church, the Hussites repelled papal crusades against them, became a major military power and endured for 300 years in their autonomous kingdom before fleeing to Saxony in 1722 to escape religious persecution. Open by appointment, on Hwy 45, corner of 48th St. and 52nd Ave; (780) 796-3802 or 998-2708. The Walker School Museum is housed in an 1928 schoolhouse, which is a designated Provincial Historical Resource and built on the same site as the town’s original 1908 four room structure after it was destroyed by fire. For an appointment, call (780) 796-3598 or 796-3731. Located at 4844 - 52nd Ave (north end of Queen Street). The Spring Creek Wetland Interpretive Centre is located at the east end of 50th Avenue, behind the Town Office. Queen’s Park commemorates the 1978 visit by Queen Elizabeth on her train tour to open the Commonwealth Games in Edmonton. The paved Bruderheim Heritage Trail links neighborhoods and scenic sites, with informational markers on the town’s cultural and natural heritage. Bruderheim’s many amenities include historic hotels and quaint rail motel, restaurants, grocery store, service stations, pub, lounges, liquor stores and an authentic German meat shop. 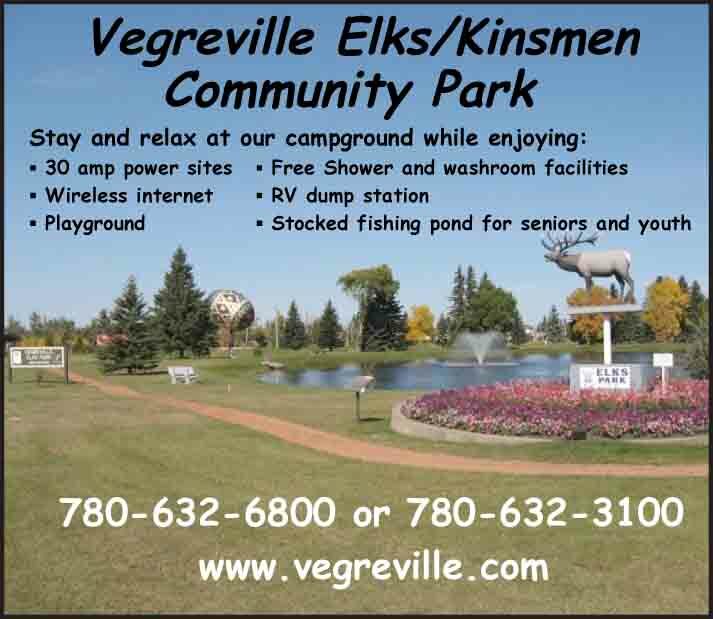 The Bruderheim Campground is open from spring thaw to freeze-up with 22 serviced sites.